The Texas Hazlewood Act provides qualified Texas Veterans, their spouses, and children with an education benefit of up to 150 credit hours of tuition and fee exemptions (not including the Student Services Fee, Parking Permit, or other non-mandatory fees, which must be paid by the student each semester) at Texas A&M University - Corpus Christi and certain other state supported institutions of higher learning. This benefit is a State Benefit, not administered or managed by the Department of Veterans Affairs (DVA), which provides qualified Texas Veterans an exemption from paying tuition and some fees. Students are responsible to pay fees not covered by the exemption or dropped from their courses. The benefit cannot be applied retroactively for previous semesters, only for the current or future semester in accordance with the policies and procedures of the TAMU-CC Office of Veterans Affairs and guidance from the Texas Veterans Commission. Who qualifies for the benefit? The beneficiary must meet ALL requirements to qualify for the Hazlewood exemption. If you have any questions about these requirements, please contact the the Veterans Office at Texas A&M Corpus Christi. NOTE: Qualification for Hazlewood is based on meeting the qualifications established by the Texas Veterans Commission. A veteran may be authorized to transfer the benefit to a qualified dependent. In all cases the Texas Veteran is the applicant; spouses and dependents only qualify for benefits once the Veteran has transferred the benefit to the dependent. Veterans can submit applications for benefits to the Office of Veterans Affairs located in the Student Service Center at Texas A&M University - Corpus Christi. Dependents submitting an application on behalf of a Veteran who is not present must have the application and supporting documentations signed by the Veteran and notarized by a State Notary to apply for the benefit. Veterans who are granted their first Hazlewood Act exemption beginning fall, 2011 must reside in Texas during the semester or term for which the exemption is claimed. This requirement does not apply to the Veterans who either received the exemption prior to the 2011-2012 academic year, have reenlisted into active duty, or reside with a spouse who is on active duty. Turn in the Hazlewood Exemption application form, a copy of your letter of eligibility/ineligibility, and a copy of your DD214 into the financial aid office of the institution you will be attending. Applications and all supporting documentation must be received by the institution no later than the last day of class in order to be evaluated for the semester or term. The Hazlewood Act is available only for use at a Texas public college or university. To access listings of Texas public colleges and universities, follow this link: Texas Institutions of Higher Education and select any of the schools listed under the Texas Public Institutions. The schools listed under Independent (Private) Institutions do NOT qualify for this exemption. Take both applications, letter of eligibility/ineligibility (if needed), along with a copy of the Veteran’s DD214, to the financial aid office of the institution you will be attending. Applications and all supporting documentation must be received by the institution no later than the last day of class of a term in order to be evaluated for that semester or term. Spouses and dependent children of eligible Active Duty, Reserve, and Texas National Guard who died in the line of duty or as a result of injury or illness directly related to military service, are missing in action, or who became totally disabled for purposes of employability as a result of a service-related injury or illness are entitled to each receive a 150 credit hours exemption. Meet the GPA requirement of the institution's satisfactory academic progress policy in a degree or certificate program as determined by the institution's financial aid policy and, as an undergraduate student, not be considered to have attempted an excessive amount of credit hours. This requirement does not apply to the spouse of a MIA, KIA, or service connected deceased Veteran. Meet the GPA requirement of the institution's satisfactory academic progress policy in a degree or certificate program as determined by the institution's financial aid policy and, as an undergraduate student, not be considered to have attempted an excessive amount of credit hours. This requirement does not apply to the child of a MIA, KIA, or service connected deceased Veteran. 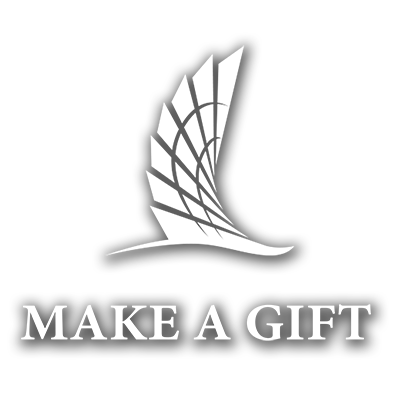 To use Hazlewood benefits or to transfer unused benefits to an eligible child, applicants must complete an application and supporting documents to Office of Veterans Affairs at Texas A&M University- Corpus Christi. Late applications will be subject to delays. The student assumes temporary financial responsibility for late submissions. Forms can be downloaded here. Hazlewood Due Date: Published priority processing deadline.